You may not be aware there are options for preserving fertility in your child diagnosed with cancer. You may be focused on cancer treatment and your child’s immediate health. You may feel uncomfortable discussing issues of reproduction with your child. Cancer and cancer treatment may affect my child’s fertility. 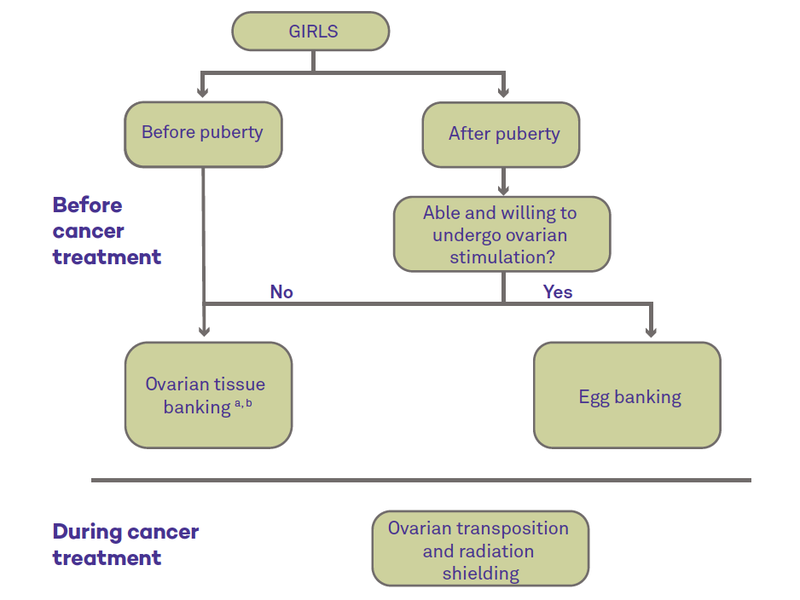 Will my child’s cancer or cancer treatment affect his/her fertility? 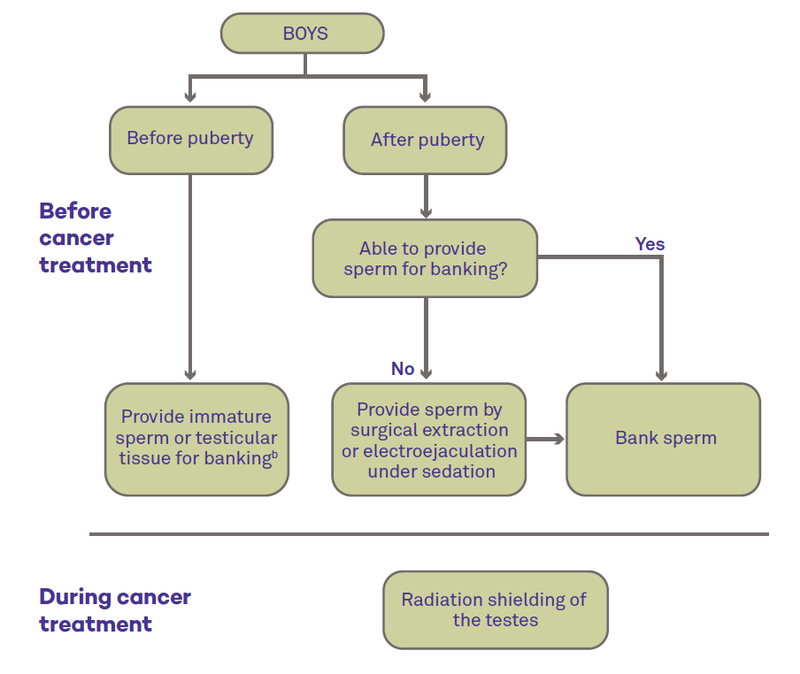 What are the options to try to preserve my child’s fertility before he/she begins cancer treatment (see figure below). Can you refer us to a fertility preservation specialist to discuss my child’s options further? 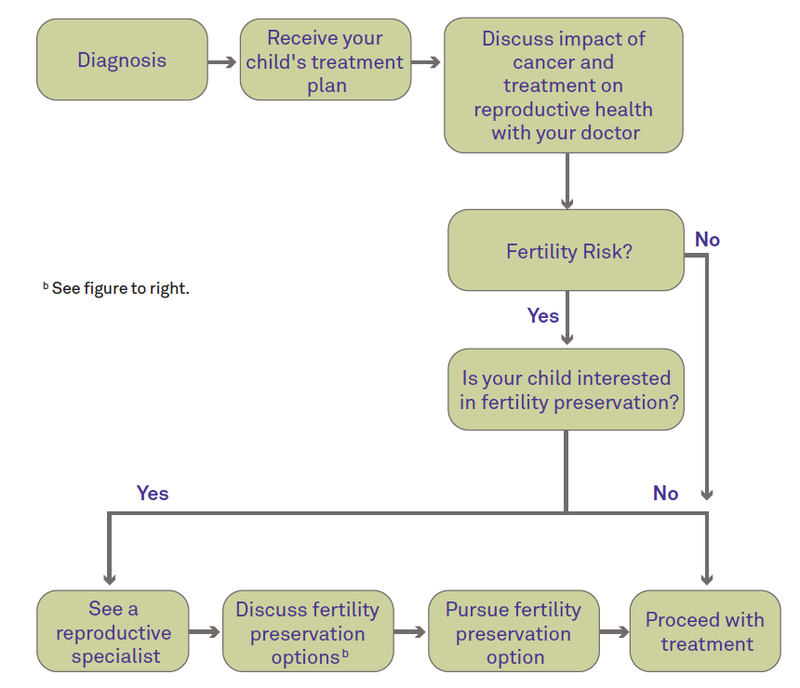 There are several resources listed on the reverse that can help you locate a fertility preservation specialist to discuss your child’s options. a Not an option if there is a high risk of ovarian metastases. Discuss with your doctor.